The New England Patriots have claimed the title of Super Bowl 53 champions and thus it’s time for the NFL world to look toward the 2019 offseason. 2019 has quite the haul of free agents, far too many to list them all, but let’s dive in and take a look at the top free agent prospects for the 2019 season. Here are the top ten free agents of 2019, and where they are most likely to take their talents this fall. The star running back and former Pittsburgh Steeler skipped out on the 2018 season but is still likely to have a ton of suitors for the 2019 campaign. 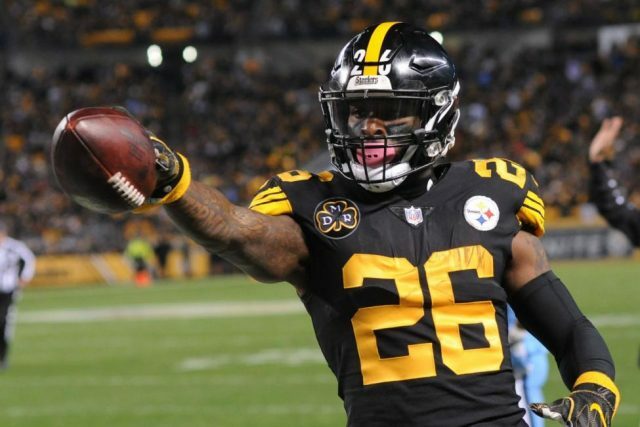 Rebuilding to semi-rebuilding teams with a lot of cap space are likely to take an interest, but Bell has proven that he is demanding a recording breaking contract. He has been linked to the New York Jets in recent weeks and has even been caught tweeting back and forth with New York safety Jamal Adams, but the Jets don’t seem very enthusiastic on the idea of breaking the bank for a running back. The most likely landing spot at the moment seems to be Indianapolis. The Colts currently have the most cap space in the NFL by a significant margin and could use a star running to help out Andrew Luck and their new-look offensive line. Earl Thomas missed the majority of the 2018 season with a fractured leg, but top tier safeties are hard to come by these days. It is highly unlikely he returns to the Seahawks after the fallout he had with the team following his injury, making him the top DB on the market. Thomas has shown that he is interested in guaranteed money more than anything so teams in desperate need of safety help are on the board. The Kansas City Chiefs don’t have a colossal amount of cap space, but they are desperately in need of help in the secondary. Eric Berry is a top-tier defensive back but has struggled to stay on the field over the last several seasons. Demarcus Lawrence was one of the critical pieces of a Cowboys defensive line that was among the best of the league in 2019. It would be quite shocking if Dallas were to let him walk. If the two sides can’t come to an agreement, expect him to be franchise tagged until they do. Similar to Demarcus Lawrence, Jadeveon Clowney is a critical part of his team’s front seven and it would be quite a shock if they were to let him walk. Don’t expect Clowney to even be allowed to test the market. Fans will remember him for being offsides in the AFC Championship, but that doesn’t change the fact that Dee Ford had a very strong 2018 season. He had 13 sacks and 55 tackles. The Chiefs are in an interesting situation because as much as they need defensive help, Ford is about to turn 28 and the Chiefs have $27 million in cap space to work with. I predict that the Chiefs find a way to keep him around, but he would be wise to test the market. By this point it seems clear that Nick Foles won’t be a Philadelphia Eagle in 2019, but where he goes and how he gets there are still totally up in the air. Foles will be exercising his $2 million buyout option from the team, but the Eagles still have the option to franchise tag and trade him. Regardless if he ends up on the market or his traded, expect Foles to go somewhere where he can immediately start at quarterback. This is a rather weak quarterback draft class, so franchises like Washington, Jacksonville, and Miami could all look to Foles to at least weather the storm as they look for franchise players. Regardless of how you might feel about Kareem Hunt returning to football, it looks like teams are interested in him. His domestic violence charges lead the Kansas City Chiefs to release him, but teams in need of running backs could very well roll the dice on him. I expect him to end up on the New York Jets. Sam Darnold and company seem to be on the lookout for a top quality running back, but the Jets’ front office doesn’t seem interested in breaking the bank for Le’Veon Bell. Landon Collins is the most interesting player on the market for me because of how young he still is. He’s only 25 and will likely try to get as far away from the Giants as possible. One interesting and bold option is the Pittsburgh Steelers. Mike Tomlin and Kevin Colbert don’t usually make much noise in free agency, but with Bell likely on his way out and the team’s window rapidly slamming shut, they need a playmaker in the secondary desperately. The Falcons may have been snake bitten with defensive injuries in 2018, but they still could use a couple extra guys on the defensive side of the ball anyway. I don’t think the Falcons are going to let him walk. I do expect him to test the market though. Earlier I predicted the Colts to break the bank and get star running back Le’Veon Bell, but I think they could also be in on Golden Tate. The former Lions wide receiver had a decent half-season in Philly but I don’t expect him to stay around. The Andrew Luck we all know and love is back and in desperate need of another wide receiver to open the Colts’ offense. Plus if Luck can revive Eric Ebron’s career, imagine what he can do with Tate.